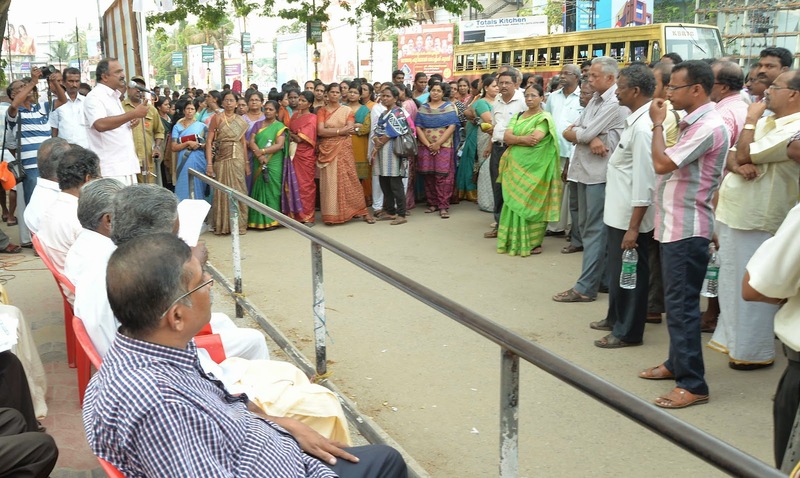 AIPEU P3 CHQ: KERALA CIRCLE POSTAL JCA ORGANISED HUMAN CHAIN AGAINST CORPORATISATION OF POSTAL DEPT ON 7TH APRIL 2015 IN ALL DISTRICT HEAD QUARTERS. 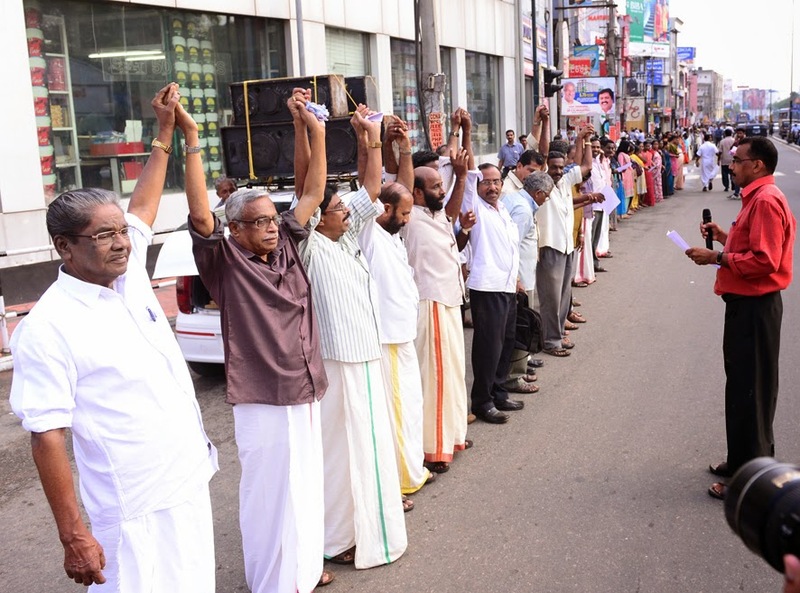 KERALA CIRCLE POSTAL JCA ORGANISED HUMAN CHAIN AGAINST CORPORATISATION OF POSTAL DEPT ON 7TH APRIL 2015 IN ALL DISTRICT HEAD QUARTERS. 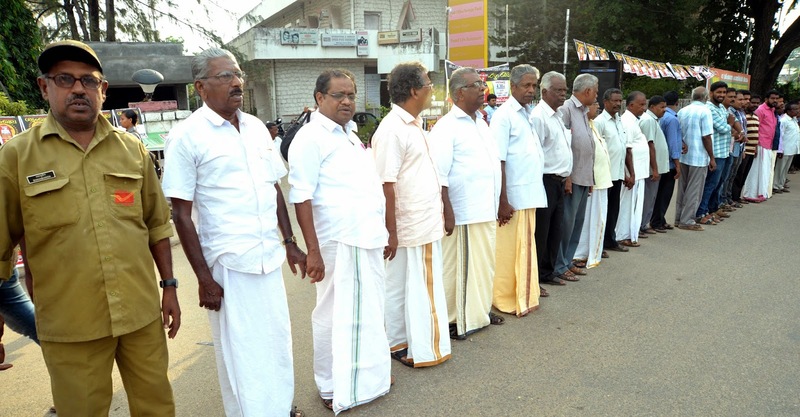 Kerala PJCA organized human chain named as “THAPAL SAMRAKSHANA SHRINGALA” on 7th April in all district head quarters against TASK FORCE REPORT for corporitisation of Postal dept. Hundreds of Postal employees, family members, MPs, MLAs, political and trade union leaders, writers and other prominent personalities join hands in the human chain. 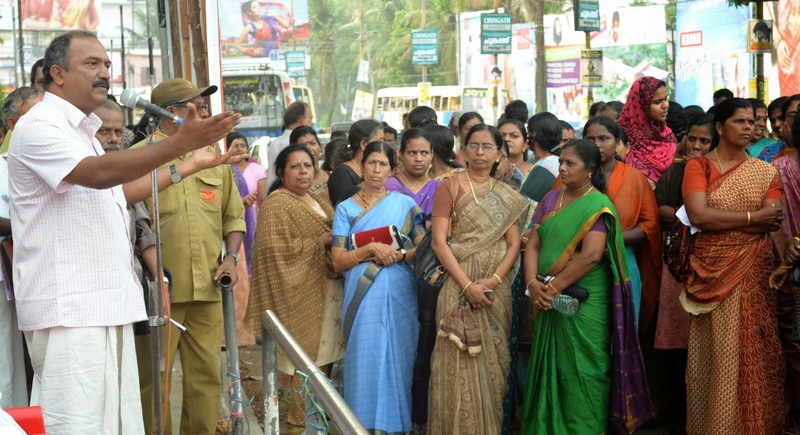 Public meetings also conducted in all places. 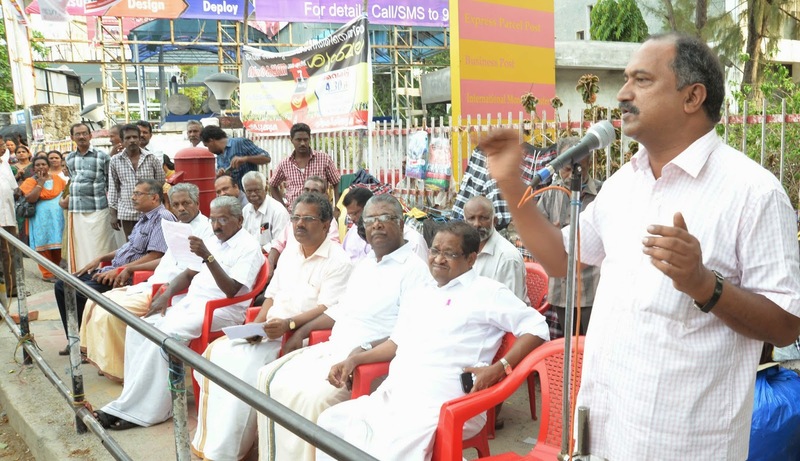 CITU state president com.Anathalavattam Anandan and Sri.Palode Ravi MLA at Trivandrum and com. K.N.Balagopal MP and com.C.C.Pillai at Kollam, com G.Sudhakaran MLA at Alapuzha, com.V.N.Vasavasn MLA at Kottayam, CITU senior leader M.M.Lawrence at Ernakulam , Prof.C.Ravindranath MLA at Trissur, com,.A.K.Balan MLA and CPIM state secretariat member at Palakkad, CPIM central secretariat membercom. 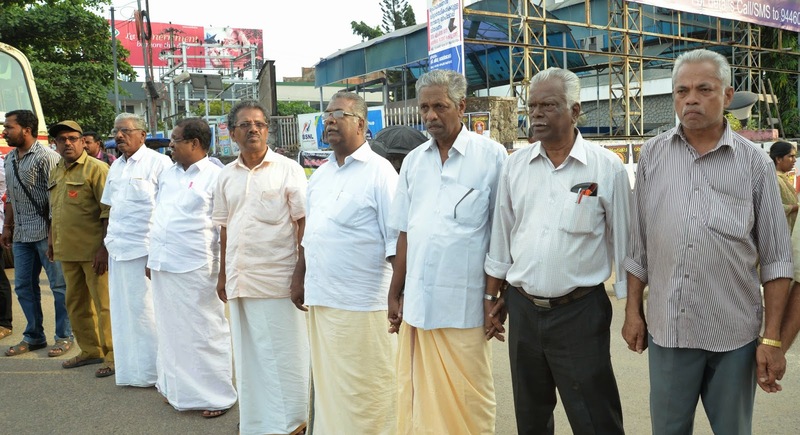 Paloli Mohammed Kutty at Malappuram, District Panchayath President Prof.K.M.Sarala at Kannur and CITU state secretary com.P.Raghavan and sri.N.A.Nellikunnu MLA at Kasaragod are some of the prominent leaders participated in the human chain. All of them have taken a pledge for the protection of the Postal dept and declared to make the indefinite strike from May 6th grand success.